Mayan people were the native inhabitants of the pre-Columbian Mesoamerican region which spoke one of the common Mayan languages and were somehow connected with the overarching Mayan culture. 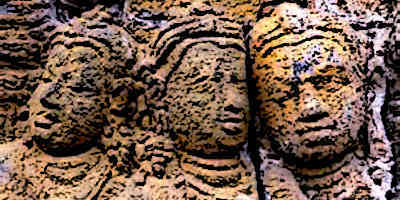 Within this culture, different city-states and populations with their somewhat distinct cultures and traditions existed. Overall, different Mayan cities had certain social traits which distinguished them from other civilisations. There are various theories as to the origins of the Maya people, although historians are uncertain. One theory says that the Mayans and the Mayan civilisation had their origins in the Olmec civilisation which was an earlier civilisation that existed in the Mesoamerican region. Another theory says that the Mayans developed independently in a different part of Mesoamerica and were able to evolve their own culture by evolving from existing nomadic tribes that settled in an area and created towns and eventually cities by 500 B.C. There has also been evidence that suggests the Olmec and the Mayans shared many cultural traits and that the two may have co-existed, at least for some time in history. In the Mayan culture, children were expected to be responsible from and early age and played their part in the work at home as soon as they were five or six years old. Mayan children were required to assist their parents in the household chores. In short, children were taught a strong work ethic at a very young age and by the time the boys turned fifteen, they were expected to be independent. Moreover, the children were taught to work for the betterment of their household and the community. Mayan men were engaged in different activities depending upon their social class. The men of the nobility occupied positions in civil services and also served as military leaders. Some nobles also worked as merchants. Men of peasant class were generally limited to farming and hunting, although they would occasionally advance upwards in social status by becoming craftsmen. Mayan women played an important role in the household as well as the community at large. They were primarily concerned with taking care of the household as well many economic activities that were critical to the Mayan culture and society. These included weaving and other textile activities as well as activities related to farming. In some ways, Mayan women also helped men in hunting or procuring meat as food. They were also directly involved in rituals in that they cooked the foods to be consumed at such rituals. Mayan people were divided into different cities, cultures and tribes. The term Mayan is applied to these people in history because they shared certain common overarching traits which defined them in contrast to other Mesoamerican civilisations such as the Aztecs. 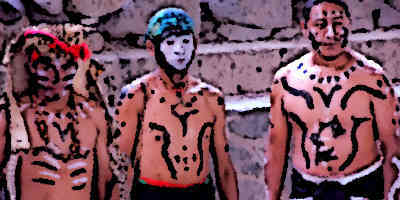 Different Mayan tribes have different rituals and they deviated from each other in some religious beliefs and practices. Moreover, Mayan tribes varied in terms of the architecture they erected in their cities. Mayan kings and emperors derived their power by invoking divine right. To that end, they built temples which helped establish their legitimacy and were also an expression of their power. The Kingship was usually hereditary and descended along the dynasties and lineages. The Kings were responsible for the defense of their city so they were also engaged in warfare. Mayan nobility came directly under the control of the Mayan king in the social hierarchy. The nobility occupied all the administrative positions such as counsellors, deputies and magistrates. In the laws of different Mayan cities, the nobility was clearly distinguished from the lower classes in terms of their rights. Mayan priests formed a key part of Mayan society since they were directly responsible for running the monasteries that were linked with the temples. Mayan children received their education in these monasteries. The priests were further responsible for rituals and religious ceremonies. Divination and hieroglyphic writings were also done by the priests as were astronomical calculations. At the sacrificial ceremonies, Mayan priests were also tasked with ripping out the heart of the victim and offering it to the gods. At the top level of Mayan social hierarchy, the Mayan priests were also charged with certain political tasks. Mayan government system comprised of a King at the top, followed by nobility in the social order and priests at a somewhat parallel level. Since Mayan civilisation mostly comprised of individual city-states, the Mayan King was tasked with overlooking the defense and administration of the city with the help of his council comprising of nobles and possibly priests. The Mayans had an advanced legal system whereby definite punishments for different crimes were defined, people were able to plead for their innocence in courts and there were even individuals who acted as attorneys in legal cases. Among the key entertainments of the Mayan people was the ballcourt game. The game was a common feature of many Mesoamerican civilisations and was particularly popular among the Mayans who dedicated huge ball courts to play the game. The game included two rival teams who would compete with each other to kick a ball to the opposite end of a ballcourt field using their hips, feet and arms but not allowed to use their hands. Often the game also required that the ball be thrown through a high-placed hoop. The ballcourt games were an occasion of festivity for the community. 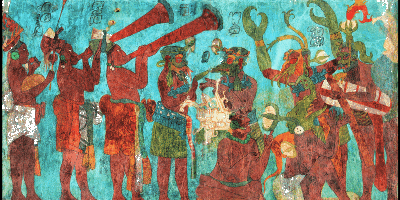 Mayans also danced and listened to different kinds of music as part of religious ceremonies. Mayan warriors were a critical part of the society since the Mayan cities were often at war. The warriors, when young, had their teeth specially filed to be sharper than usual so as to give them a fierce appearance during war. Warriors were often led by military chiefs during warfare. The chiefs dressed themselves so that they would inspire the warriors. Idols were also carried to the battlefield to inspire the warriors during the fight. Mayan people had a developed social system which comprised of different classes of people and specific activities designated for each class. 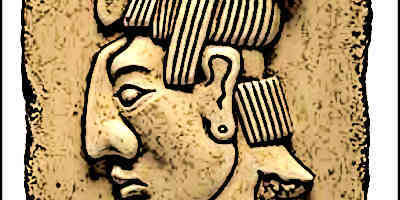 The roles of men and women were well defined in Mayan society. Men engaged in warfare and outdoor activities such as farming and hunting whereas women were concerned with household activities including textile-related work such as weaving. The Mayan society had clearly defined laws, punishment for those who defied the laws and courts where indictments were contested.